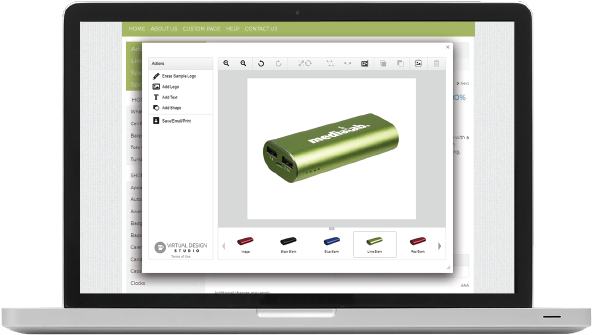 Virtual samples mean no more guessing. 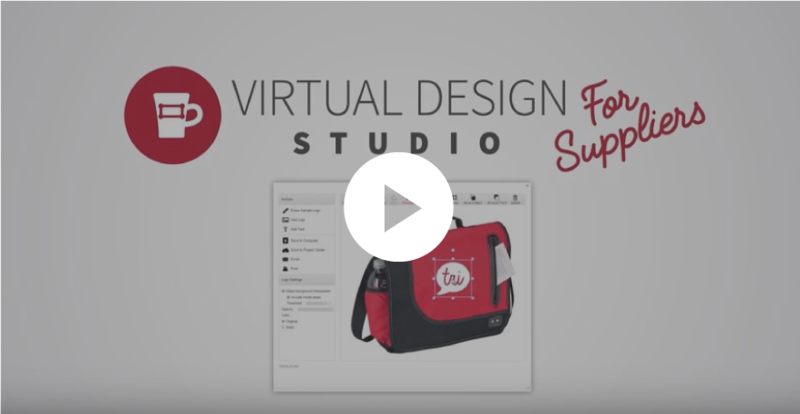 The SAGE Virtual Design Studio is the most advanced virtual sampling tool in the industry. 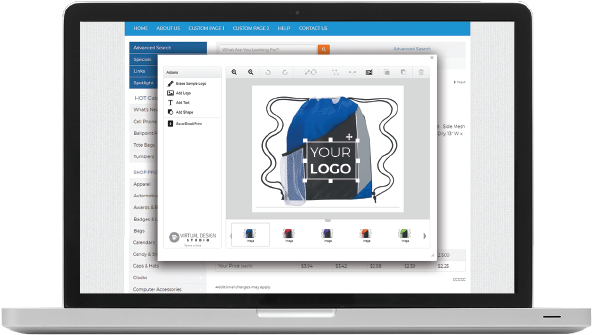 It integrates seamlessly with your website and allows your clients to add logos to products on your website to get a better picture of what the finished product will look like. 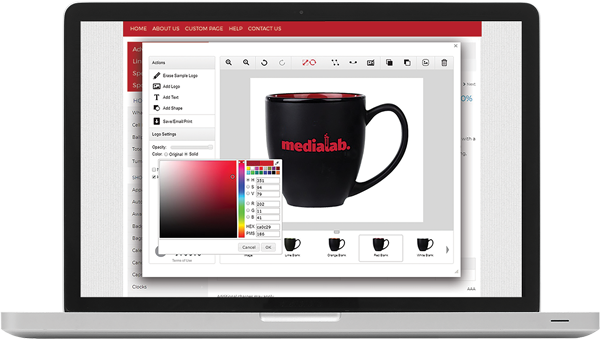 Adjust the logo's opacity, size, color, easily remove a background in one click, and more. 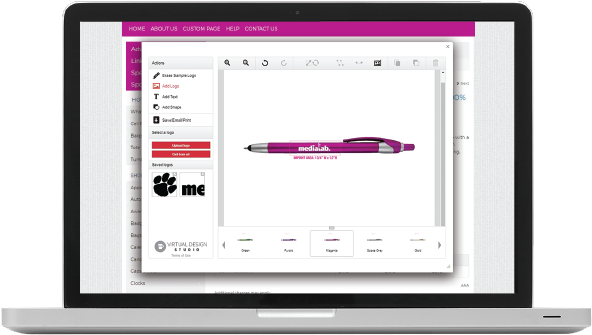 Ensure color consistency with PMS color support. Add text with over 40 font choices. 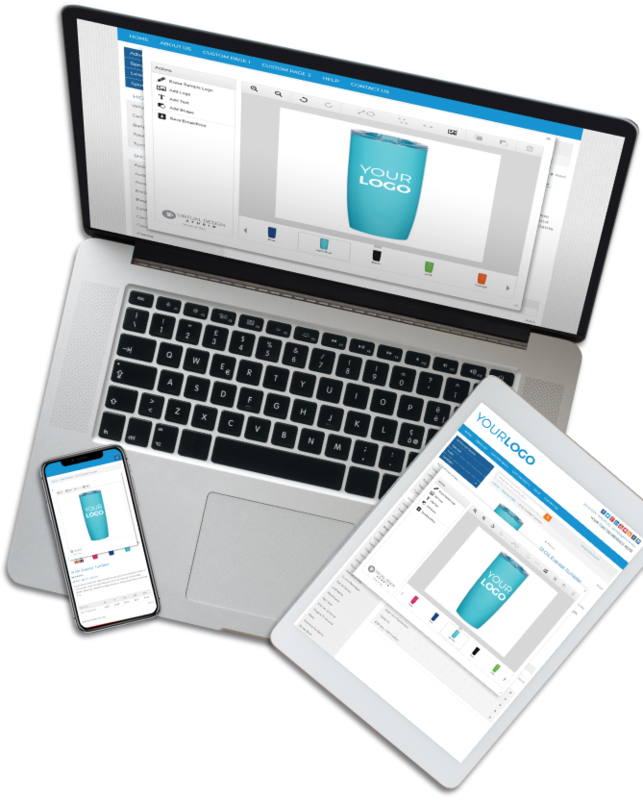 With multiple product images, your clients can view alternate product colors, styles, and angles, and show end buyers a virtual sample using the exact product color and logo placement they want, increasing the appeal of your items. 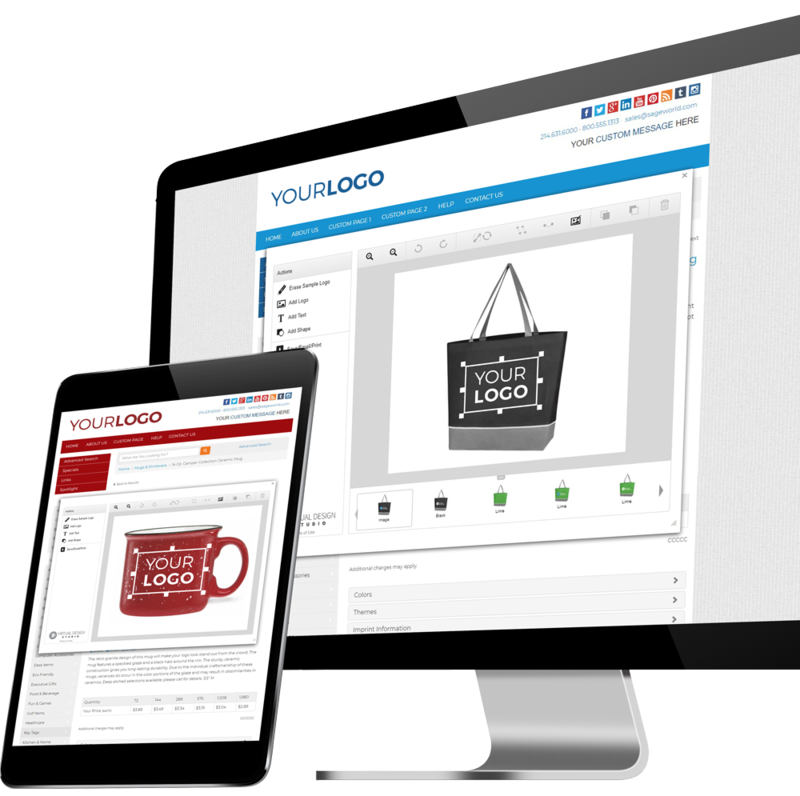 The Virtual Design Studio includes complete cross-browser support for all modern browsers with no plug-ins or downloads required to use it. 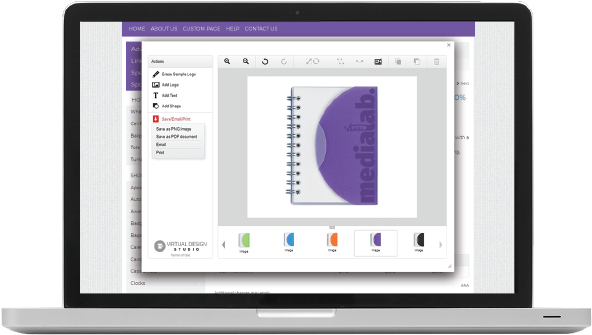 It also has comprehensive file support, including EPS, AI, PDF, JPG, PNG and TIFF. Email, print, or save the virtual sample. 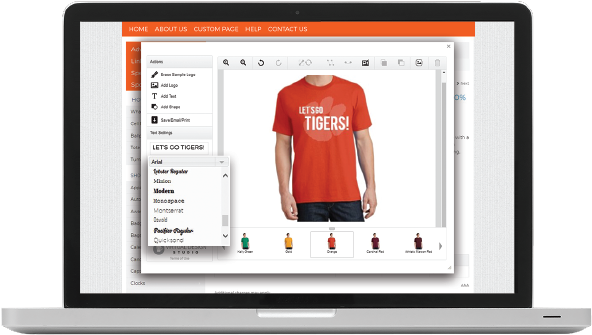 Looking to implement the Virtual Design Studio on a custom website? View our developer's guide by logging in with your SAGE login ID and then click Developer APIs > VDS Dev Guide.